Rugs 4: A Blog About Rugs, Carpets and Tapestry (Rug Stuff) | Rugs 4 Me, Rugs 4 U and Rugs 4 The Hell Of It! An amusing and informative (hopefully) personal journey of discovery into the world of rugs, carpets and tapestries. 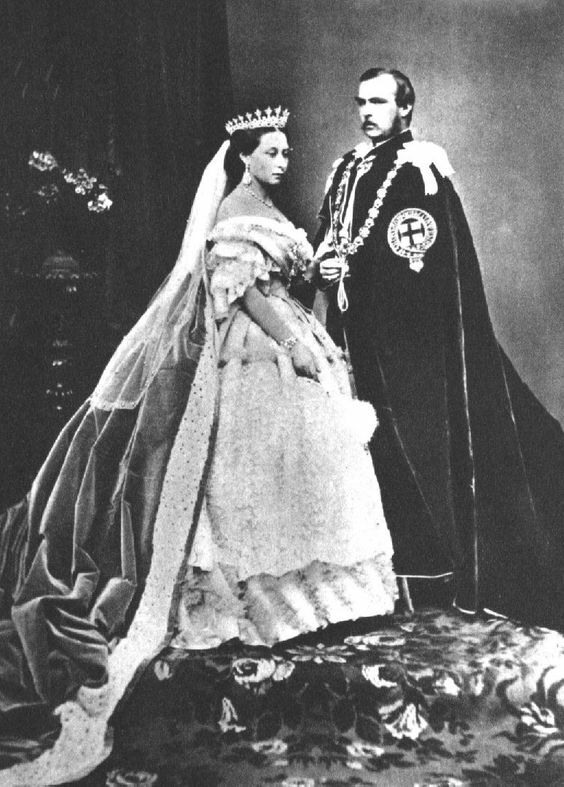 Queen Victoria and Albert were Tartan Tyrants? Really? and heard on the movies, television andbooks. Like many others, I thought the old clans of Scotland each dressed in a Tartan that was exclusive to them and would fight to the death to keep it that way–the original gang colors! Recently my wife and I went on vacation in Scotland, and I came across this great article in The Times by Ben Macintyre. I guess what I had believed about Tartans was simply romantic nonsense. I’ve printed the parts in bold that I thought most striking, but the entire article is here if you like! Read it all and decided for yourself if the rulers were tartan tyrants or not! In 1937, the keeper of the Privy Purse tore a strip off a kilt-maker who dared to inquire whether he might sell kilts made from the Balmoral tartan, invented by Prince Albert in 1853 and still worn by the royal family. That tartan, declared Sir Ulick Alexander, “is purely personal and private to His Majesty and the royal family and can, in no circumstances, be worn by other people”. The same line is maintained today, with the official royal website stating that the only non-royal permitted to wear Balmoral is the Queen’s piper. This is nonsense. The idea of ancient ownership of tartan is a myth, for the entire story of tartan is a glorious invention, cooked up by a couple of enterprising gay Victorian fashionistas from Egham in Surrey, popularised by a German prince and probably first worn by the Chinese. The Queen can no more stop you from wearing her tartan than she can dictate your choice of underwear. The ban on commoners sporting the Balmoral pattern is a convention, not a rule, and therefore there to be broken. The real history of tartan is not a clan-based system of what may be worn by whom, but a fantastic sartorial free-for-all, in which everyone wore whatever pattern appealed, or no pattern at all. The regulations about who may wear what tartan are a Victorian hangover that says much about the strange British predilection for codification and exclusive uniforms. Like so much else in our national life, tartan was appropriated to make social distinctions, to prove membership of a particular ancestral club, and to bar non-members. Some of the earliest tartan was found on a 3000-year-old mummy discovered in the Taklamakan desert in northwest China. Little is known for sure about Cherchen Man and his tartan trews, but he certainly didn’t come from Scotland. The Iron Age Hallstatt people of central Europe also wore tartan. The very word itself derives from the French tartarin, meaning cloth from Tartary, in what is now Russia and Ukraine. Early travellers in the Scottish Highlands reported that while the locals wore clothing of different, and often intricately woven patterns, these did not necessarily denote allegiance to anyone or membership of any particular body, but depended on location, the availability of different dyes and above all personal taste. Some wore several different tartans at once. Contemporary paintings of the Battle of Culloden suggest that the Jacobite troops went into the fray not clad in tartans denoting specific clans, but wearing a bewildering variety of patterns. The idea that tartan could be used as a differentiating uniform came soon after, with the Dress Act of 1746 banning the wearing of tartan except by Highland regiments of the British Army. In 1815, the Highland Society (of London, naturally) began trying to regulate which tartan was whose. The chief of clan Macdonald confessed that he had no idea what his clansmen wore. “Being really ignorant of what is exactly the Macdonald tartan”, he suggested the society choose one for him. The tartan explosion began with George IV’s visit to Scotland in 1822, when Walter Scott and the Celtic Society urged the Scottish population to turn out “all plaided and plumed in their tartan array”. The clan-specific tartans that emerged as a result were invented wholesale. But it took the Victorians to ignite the tartan taxonomy craze, with their new chemical dyes, romantic myths about Scottish history and taste for social and familial distinctions. The Vestiarium Scoticum, published in 1842, identified and listed the various “official” Scottish tartans, allegedly based on a 16th-century Scottish manuscript. This was the work of two men, the Sobieski Stuarts, who claimed to be grandsons of Bonnie Prince Charlie. The Vestiarium was a forgery. The Sobieski Stuarts were from Surrey, apparently named John and Charles Allen. They were probably not brothers at all, but lovers. Like most fashion trends, the whole thing was a magnificent scam. But the royals went mad for it. Prince Albert appears to have been afflicted by a particularly chronic case of tartanophilia. In addition to designing the royal tartan, he decked out Balmoral Castle in no fewer than three different tartans: Royal Stewart and the green Hunting Stewart tartans for carpets, and Dress Stewart for curtains and upholstery — a crime against interior decoration that even the most tasteless Scottish hotel would avoid. Encouraged by this royal obsession, sartorial snobs and canny retailers began creating tartans at an astonishing rate, investing them with tribal and symbolic meaning and complicated clan lineage, most of it totally bogus. There are currently somewhere between 3,500 and 7,000 different tartans, with around 150 new ones being invented every year. 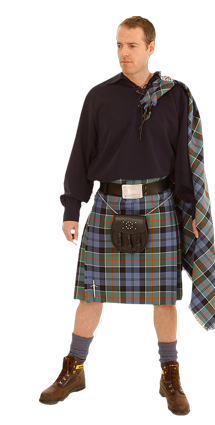 I occasionally wear a Macintyre tartan kilt, but my children wear trendy black kilts bought off the internet. My Polish friend got married in Royal Stewart tartan. Just this week I had lunch with a Russian minister, on holiday in Argyll, who wore the Campbell kilt. This is exactly how tartan should be worn, and was worn in ancient times. The fiercer of the dress enforcers like to claim that they are adhering to tradition by wearing the “correct” tartan (and by implication, preventing the unentitled from admission to the tribe). But anyone with a proper sense of history should go back far further, to an earlier, more generous custom: and wear whatever tartan they like.